2018 and 2019 was and will be big years for fleet cameras. In 2018, there was exponential growth in fleet camera users. In contrast, 2019 will see exponential growth in “intelligent cameras”. Intelligent cameras use AI camera software for monitoring and classifying footage. In this article, we’ll discuss AI and explain how AI camera software creates intelligent cameras. AI stands for artificial intelligence. It’s an exciting field. For instance, some popular examples of AI include manless drones, housekeeping robots, and video game characters. At the same time, AI is a bit of a controversial topic because some people believe that computers are dumb. One of those was my university IT professor. He argues that machines are stupid because they don’t exactly think for themselves. Instead, they use human programming to make decisions. In a way, my professor is correct. For example, consider the new Gmail update. Gmail started a autofill and auto response function. It’s a time saving tool because I can quickly respond and type emails. Nonetheless, although it would be cool, Gmail has not learned to think for itself. Instead, Gmail relies on keyword analytics for its auto suggestions. AI camera software is creating next-gen cameras. Next gen cameras automatically review and escalate video footage. Why is that important? When fleets initially invest in cameras, they are excited by the technology. However, after a few months, fleets get used to cameras and thirst for improvements. In particular, a common concern is increasing video analysis efficiency. Some enterprise fleets get so many video events that they outsource video analysis. For instance, their camera vendor provides support staff to review every video event and to escalate important events. Nonetheless, human outsourcing is an imperfect solution. Human agents make occasional mistakes and take time for reviews. That is where AI camera software comes in handy. AI camera software uses preset codes to identify and to categorize events. For example, for distracted driving events, the AI compares facial and body footages with distracted driving profiles. Some people fear that AI is a threat to human safety because of sci-fi movies. However, so far, AI technology has saved lives. 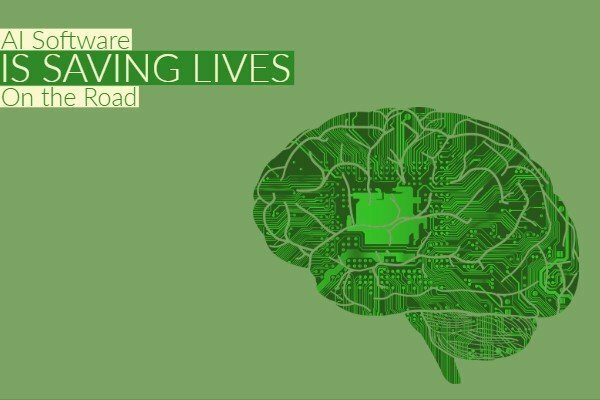 AI uses pre-set human instructions to perform tasks such as monitoring distracted drivers and maintaining safe roads.